Caring for your trees ensures that your landscape will look great for decades to come. Here at JRP Tree & Demolition, we have a vast knowledge of local tree species here in the Houston area, and we know how to properly care for these trees to ensure that they have a long, healthy life. If you have trees that aren’t looking their best, or if you’d like to ensure your trees remain healthy throughout their lifetimes, you can count on the JRP crew to care for your trees — just give us a call for a free estimate. You can also learn more about our certifications and the various care services that we provide — all of which are listed below. Tree care is a science, and it takes education and training to learn how to properly care for trees. Here at JRP, we have arborists on staff who have received training and certification from the International Society of Arboriculture (ISA), which is an authority on tree care and preservation techniques. That means that we have all of the know-how necessary to ensure that your trees have a heightened chance of living a long, fruitful life. If you have trees on your property that are diseased, dying, or hazardous, we can remove these trees. 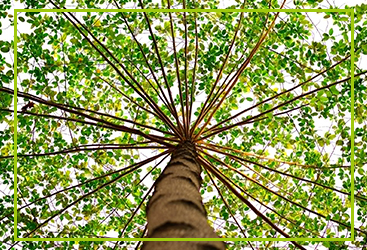 We can cut down trees of any size, safely lowering large limbs to the ground, so that your property isn’t damaged. 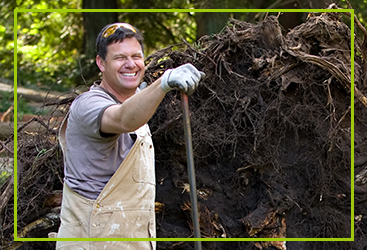 Plus, we always provide a thorough clean up, and we’ll haul away all of the debris from your tree removal. Count on our team of experts for a tree removal that is safe and efficient. Whether you’re removing a tree from your property, or you have an old stump taking up space in your landscape, you can count on JRP Tree & Demolition to grind away your stumps. 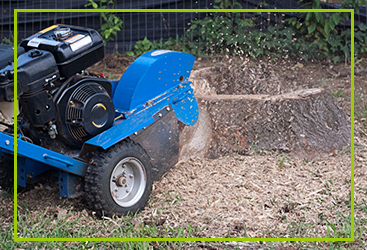 We use a heavy-duty tree stump grinder that makes quick work of even the largest, most stubborn stumps. Plus, our stump grinder can grind to depths that are below the grade of the rest of your landscape, so that you can plant sod, add river rock, or install any other landscaping feature that you’d like. Call on us to have your stumps removed in a matter of hours. 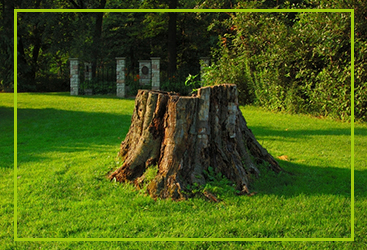 If you have a stump in your landscape that simply must be removed entirely, we can help. Sometimes, it’s not enough to grind down a stump to the grade of your landscape. That’s especially true if you’re planning on building where the stump lays, or if you’re planning on planting a new tree to replace the old one. We can completely remove any stumps that you may have on your property, so that they’re no longer an obstruction or an eyesore. If your trees are suffering from pests or disease, then it is best to act quickly to save your trees and to ensure that other trees on your property don’t suffer the same fate. We can assess any diseases and insect infestations that your trees are suffering, and we’ll do our utmost to save your trees. We may provide you with a treatment plan, we may trim off any affected branches, or we may have to remove trees from your property in extreme cases. 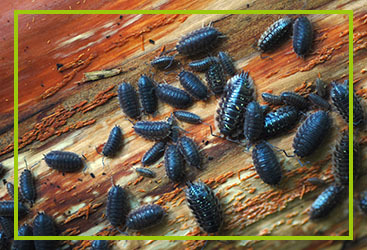 Regardless of the magnitude of an infestation, we have the solutions you’ll need to make your property free from diseases and insects. When the worst happens, we’ve got your back. Trees can prove to be a hazard on your property, and with high winds, a lightning strike, or another accident, a fallen tree or tree limb can turn into an emergency. 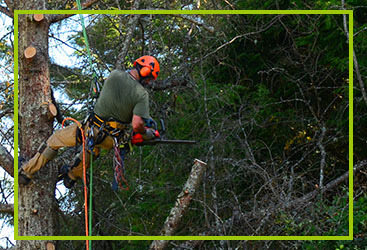 You can count on us for emergency tree care services. From trimming to tree removal to emergency cabling and bracing, we’ll do our utmost to make your property safe once again. 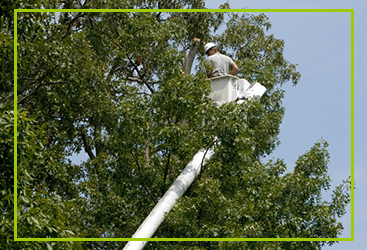 Reach out to us for emergency tree care, and we’ll be on the job as soon as possible. If the soil around your tree is compacted, it may lose access to nutrients and water, which will hinder the growth of your tree. Moreover, compacted soil changes temperatures more easily if the weather is changing rapidly, and that can further damage your tree. Have your tree’s soil aerated regularly to ensure that your tree roots are protected and receiving all of the nutrients they need. We can let you know about the best aeration intervals for the trees and soil on your property. Installing a root barrier around your trees ensures that their roots won’t damage your home, building, or other parts of your property. We can install a buried root barrier that will keep roots at a distance from these areas, so that your tree can grow without becoming a hazard. We can install root barrier for new trees, or we can retrofit root barrier around existing trees. Oftentimes, trees grow in soil that doesn’t have sufficient nutrients to support growth throughout the entire tree. And over time, trees can deplete enough nutrients from the soil so that they are starved of key nutrients that are vital to their survival. If you have a tree that is planted in poor soil or a tree that has used up all of the nutrients from its surroundings, then fertilization may help to ensure your tree has the stuff that it needs to thrive. 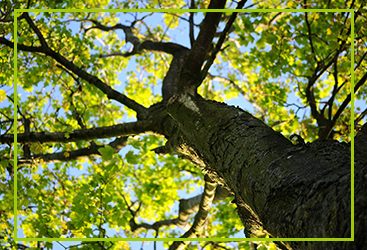 We can test the soil around your tree and inject it with a fertilizer to boost its health. When performed properly, trimming your trees will benefit the health of the tree. Trees simply grow wildly, and they can overgrow, which will cause an imbalance of nutrient and water absorption throughout the branches of the tree. This overgrowth can actually “choke” the tree, which means that it won’t have much new growth during the growing season — new growth is an indication that your tree is healthy. If you’ve noticed that your tree no longer produces new growth, you should have your tree trimmed more often to improve its health. We recommend that folks have their trees trimmed in late winter or early spring for the best results. If you have trees on your property that are poorly balanced, or trees that are in danger of hitting other trees or objects (e.g. your home, vehicles, power lines), then we can install cables and braces to ensure that your tree won’t become a hazard. Often, folks think that they have to trim their trees or cut them down entirely when their branches or balance becomes a hazard. 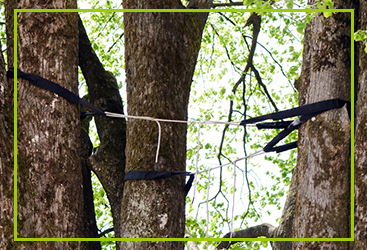 While these options may be the only solution in certain cases, cabling and bracing the tree may prove adequate to make your tree safe while ensuring that it continues to grow and thrive. 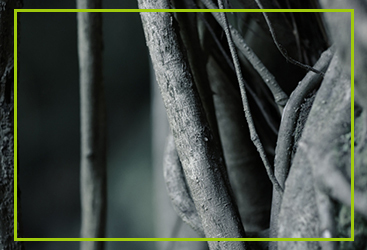 If your trees are suffering from any issues, we can assess the problem at hand and offer up the best possible solution to strive to save those trees. 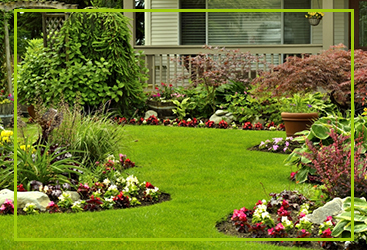 You may have any variety of issues, ranging from wilted leaves to mold growth to pests. Your trees may have even been struck by lightning. Whatever the issue, we’ll take a look and put your trees on a path to a speedy recovery. We can trim your trees, add fertilizer to the soil, and address other issues. 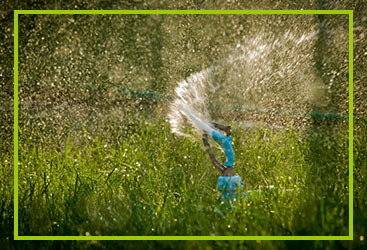 It can be difficult to determine how much water your trees need in order to grow. On one hand, if your tree isn’t receiving enough water, it won’t be able to grow, and its leaves may wilt and fall prematurely. On the other hand, your tree may be receiving too much water. When trees have too much water, they’re susceptible to have loose roots and they may suffer from mold and rot. 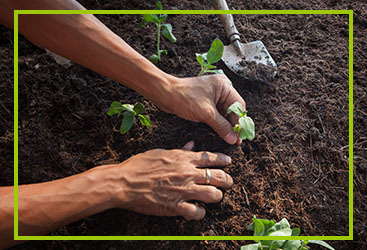 We can assess the amount of water in your soil and how it is affecting your tree. Here in Houston, it may be problematic to have too much water in the soil due to the rain. If that’s true, we may recommend that you install a French drain or another drainage solution in order to keep water from pooling around the base of your tree. Planting new trees is simple with JRP Tree & Demolition, and you can rest assured that your trees will have their best shot at a long, healthy life. When we plant trees, we know precisely how deeply to bury the rootball. In addition, we’re wary of nearby hazards that could prove to be problematic as your tree grows up. For instance, we’ll never plant a tree close to your house, where its branches can grow dangerously close to your abode. In addition, we won’t plant too close to other trees or power and telephone lines (or other infrastructure on your property). We strive to give your tree an excellent shot at a fruitful life, while placing your trees in locations that will look great and aid the health of your tree. If you’re looking to improve the look and value of your property, consistent tree care is key. 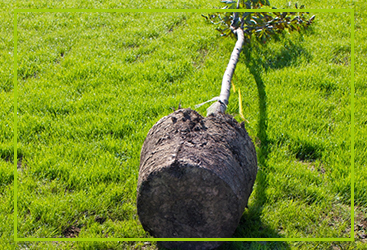 Count on the tree care experts here at JRP Tree & Demolition to keep your property looking tip-top. Again, we provide tree care services for folks throughout Houston — reach out to us today to get a free estimate for your project! We had our 20 ft. x 20 ft. garage demo’d. The contractor hauled away all the debris and returned the site to grade. They did well, overall. JRP was fantastic! In June 2014, I had a huge, 150 year old water oak tree in my front yard start dropping big limbs. Since I did not want anyone to get hurt, it was time for this old bear of a tree to be removed. The trunk on this thing was 5 feet in diameter, easily 40 feet tall, and the limb spread was easily 35 feet across. Reynaldo came out, quoted me, gave me a copy of their insurance, and was able to fit me in the next day. A crew of six showed up at my house, and in juust four hours, this monster tree was gone. The crew cleaned up nicely – even moved stuff out of the way during the job so my wife could get her car out of the garage, used some ingenuity to pull out an old metal electrical conduit that the tree had grown around so they could get it down to the stump, and even used their Stihl blower to blow out my garage too! Not only were they professional, quick and skillful, but they were also the lowest bid! They are bonded and insured (I checked it out myself) and were worth every penny. 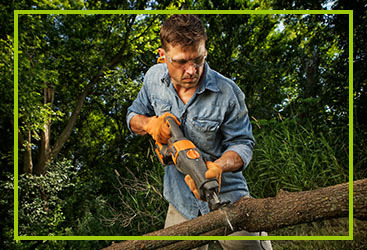 Get them when you have tree pruning or removal issues – you WON’T be disappointed. Removed pool and all pool related items. It was 21 by 40 ft and made out of gunite. They removed the debris, filled out the hole and returned it to grade. They did good, overall.